IMPORTANT: To be studied and repeated daily as many times as possible, until the mind fully accepts its truth and you find yourself speaking and acting in its consciousness. 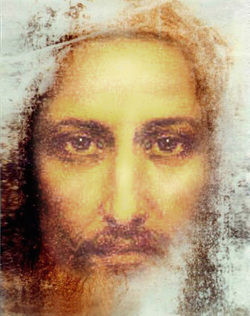 I am a Son of God, a Spiritual Being, living always in the Kingdom of Divine Mind. In this, My true consciousness, there is for Me no lack or limitation of any good thing. From My human mind's viewpoint, however, there is no direct evidence of this. Yet I am teaching it through long, hard experience, bringing to it much struggle, suffering and failure, that the human self of itself is nothing, can have nothing, can do nothing, and that I am all that it is; that I give it all that it ever gets, and empower it to do all that it ever does. So that now it is learning that it is not, and that I alone am; that I as a Son of God know all things and have all power; that whatever the Father has, the Son has; and likewise what the Son has, his human reflection must have; that it therefore has it always, has all good things ever available — when it comes back into My consciousness and sees there with My eyes. From this it glimpses that it is but an instrument that I am preparing, purifying and perfecting through these experiences, apparently getting it ready for some use I intend to make of it later. It is thus realizing that with My being a Son of God and thereby having all things, I naturally have no desire and no need, except that of expressing My perfect life through it — My human self, and if it feels a desire or a need, it is but an indication that the thing desired is about to manifest. Otherwise it would not be felt. That being so, it is gradually realizing that for it also there is no need, all good things being always present, and it is learning to let go of its personal ideas, desires and opinions, and to go about its business unconcerned, knowing that all needed things will be taken care of and provided by Me, as surely as the lungs will receive air in the next breath. It is likewise learning to pay no attention to appearances, that what seems real and important to the outer senses are but thought-pictures formed in the mind and which, if good, fall far short of the goodness and perfection that are ever seen in Divine Mind; or if bad or undesirable, such do not exist — except in the mortal mind. Therefore it is perceiving that in order to see the Truth it has but to close its mortal eyes and mind and to look with the eyes of Spirit — My eyes, when all the riches and glories of the Kingdom shine forth and are clearly visible. When one thus sees Reality all the illusions of separation disappear, even as when looking at the sun there are no shadows	— all is light. The above contains so much of vital significance to the unfolding consciousness that we cannot urge too strongly its daily frequent repetition and study, until the mind fully understands and accepts its truth. Those who do this will be very happy and grateful for what it brings to them.